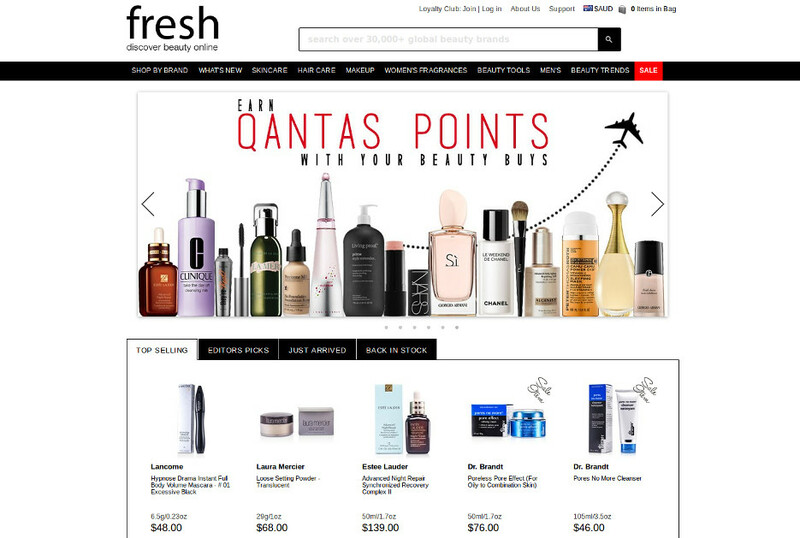 Fragrances, cosmetics, haircare, skincare – just everything at Fresh fragrancesandcosmetics.com.au! Fresh Fragrances & Cosmetics is a well known beauty dealer with over 15000 products online, I am sure you’ll find your favourite scent or the face care you use there. With the deals & discounts below you may even try something else, something more expensive than you usually would buy? Like some Estee Lauder, Clinique or Lancôme face care? I think I am going to take the chance with this unbelievable shopping deal! Of course, there’s men’s fragrances and skin care as well! Receive one point for every Dollar spent. Points can bee redeemed for future purchases. Qantas Frequent Flyer points available on every order. Free giveaways including fragrance and cosmetic testers, full-sized products, and beauty books. Exclusive offers on your Preferred fragrances and cosmetics brands. Enter coupon code in checkout form to receive 10% discount on your purchases. How to redeem a Fresh Fragrances & Cosmetics coupon code? If you’ve found one of our coupon codes that save you money when shopping with Fresh Fragrances & Cosmetics, redeeming them is as easy as this. You will be promted to enter your coupon code. Hit the Validate button. You will now see your discount applied. Proceed with the payment and checkout as usual. VOSN - 25% Off Site Wide!